Makerere University Joint AIDS Program (MJAP) is a private-not-for profit Company under Makerere University. MJAP works to build partnerships and strengthen health systems to optimally respond to HIV/AIDS, TB and other diseases of public health importance in Africa. Job Summary: The Monitoring & Evaluation Officer will support the Organization and Partner institutions to develop, review and implement system strategies that routinely monitor and evaluate the project activities in line with the National HIV and AIDS Monitoring and Evaluation Plan, MJAP and PEPFAR guidelines. Support MJAP and Partner Institutions to develop Monitoring and Evaluation plans and budgets in line with the M&E project guidelines. Offer technical assistance to develop and implement strategies for building the capacity of the project staff to conduct evaluation activities that will inform and improve the project implementation and achievement of project goals. Build the capacity of the supported health facilities Data/Records personnel to prepare, compile and present periodic Monitoring and Evaluation reports to inform program design and make improvements in line with project guidelines and MJAP's guidelines. Take lead in identifying, documenting and sharing best practices, innovations and research related findings; to project activities to improve performance and HIV service delivery. Work closely with MoH & IDI teams to develop/review quality management tools, strategies and activities to increase project performances and results in line with project’s stated objective and outcomes. Provide technical support to CBO/CSO staff on areas related to Community DSD models so as they can effectively utilize the MGLSD/MOH DSD tools. Conduct joint supervision visits with KCCA and IDI to monitor the use of the Quality assurance reporting system; assess the quality of data collected by the M&E teams and other focal persons and verify the accuracy of reported data. Work in close liaison with the M&E Coordinator, develop/review and implement plan for data access, analysis; and summarise information on all project areas and processes. 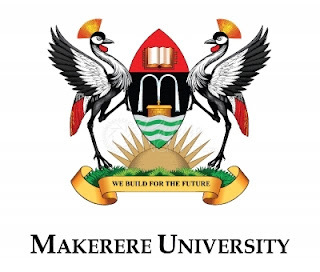 The ideal candidate for the Makerere University Joint AIDS Program (MJAP) Monitoring & Evaluation Officer job should preferably hold a Bachelor’s degree in Statistics, Information Technology or a relevant field. Excellent interpersonal, communication skills & organizational skills. Ability to monitor data collection and data entry into management systems and write good project reports and plans. Good management and coordination skills, with experience of technical project implementation. NB: Please indicate the position and region you’re applying for in the subject. Your attachments should not exceed 5MB.